PASADENA, Calif. -- NASA's Mars exploration rover Opportunity is allowing scientists to get a glimpse deep inside Mars. Perched on a rippled Martian plain, a dark rock not much bigger than a basketball was the target of interest for Opportunity during the past two months. Dubbed "Marquette Island," the rock is providing a better understanding of the mineral and chemical makeup of the Martian interior. 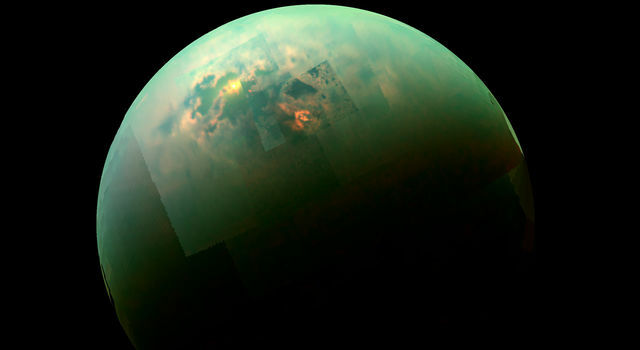 "Marquette Island is different in composition and character from any known rock on Mars or meteorite from Mars," said Steve Squyres of Cornell University in Ithaca, N.Y. Squyres is principal investigator for Opportunity and its twin, Spirit. "It is one of the coolest things Opportunity has found in a very long time." During six years of roving, Opportunity has found only one other rock of comparable size that scientists conclude was ejected from a distant crater. 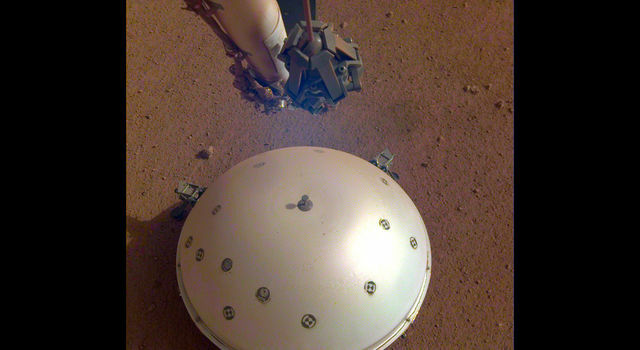 The rover studied the first such rock during its initial three-month mission. Called "Bounce Rock," that rock closely matched the composition of a meteorite from Mars found on Earth. Marquette Island is a coarse-grained rock with a basalt composition. The coarseness indicates it cooled slowly from molten rock, allowing crystals time to grow. This composition suggests to geologists that it originated deep in the crust, not at the surface where it would cool quicker and have finer-grained texture. "It is from deep in the crust and someplace far away on Mars, though exactly how deep and how far we can't yet estimate," said Squyres. The composition of Marquette Island, as well as its texture, distinguishes it from other Martian basalt rocks that rovers and landers have examined. Scientists first thought the rock could be another in a series of meteorites that Opportunity has found. However, a much lower nickel content in Marquette Island indicates a Martian origin. The rock's interior contains more magnesium than in typical Martian basalt rocks Spirit has studied. Researchers are determining whether it might represent the precursor rock altered long ago by sulfuric acid to become the sulfate-rich sandstone bedrock that blankets the region of Mars that Opportunity is exploring. "It's like having a fragment from another landing site," said Ralf Gellert of the University of Guelph, in Ontario, Canada. Gellert is lead scientist for the alpha particle X-ray spectrometer on Opportunity's robotic arm. "With analysis at an early stage, we're still working on some riddles about this rock." The rover team used Opportunity's rock abrasion tool to grind away some of Marquette Island's weathered surface and expose the interior. This was the 38th rock target Opportunity has ground into, and one of the hardest. The tool was designed to grind into one Martian rock, and this rock may not be its last. "We took a conservative approach on our target depth for this grind to ensure we will have enough of the bit left to grind the next hard rock that Opportunity comes across," said Joanna Cohen of Honeybee Robotics Spacecraft Mechanisms Corp., in New York, which built and operates the tool. Opportunity currently is about 30 percent of the way on a 19-kilometer (12-mile) begun in mid-2008 from a crater it studied for two years. It is en route toward a much larger crater, Endeavour. The rover traveled 5.3 kilometers (3.3 miles) in 2009, farther than in any other year on Mars. Opportunity drove away from Marquette Island on Jan. 12. "We're on the road again," said Mike Seibert, a rover mission manager at NASA's Jet Propulsion Laboratory in Pasadena, Calif. "The year ahead will include lots more driving, if all goes well. We'll keep pushing for Endeavour crater but watch for interesting targets along the way where we can stop and smell the roses." 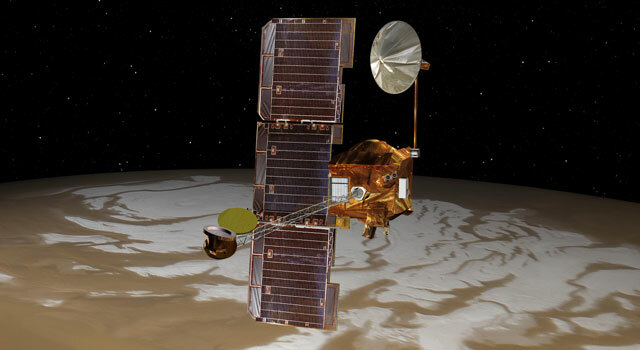 Since landing on Mars in 2004, Opportunity has made numerous scientific discoveries, including the first mineralogical evidence that Mars had liquid water. After working 24 times longer than originally planned, Opportunity has driven more than 19 kilometers (11.8 miles) and returned more than 133,000 images. 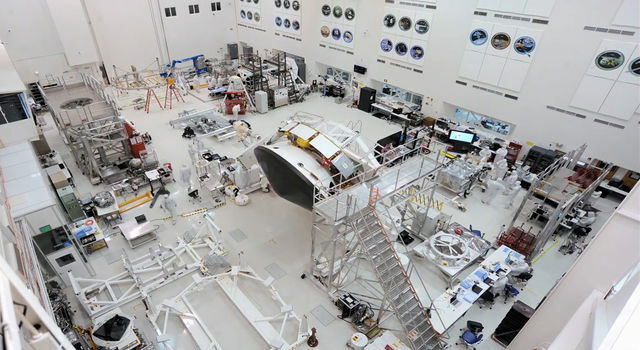 JPL, a division of the California Institute of Technology in Pasadena, manages the rovers for NASA's Science Mission Directorate in Washington.